In coke and steel works, the process begins with unloading coal or iron ore. The buckets and chain conveyors that are implemented in handling the raw materials from the barges face damage from both abrasion and impact. JADCO provides wear plate solutions for steel mills and foundries by limiting the harmful effects of this abrasion. By providing bucket rebuild services, manufacturing new buckets, designing bucket parts and accessories, such as lips and liners, and finally by providing the floor plates the chains and buckets are dragged across or slid along. 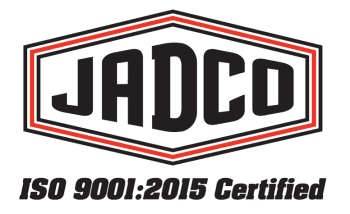 For these applications JADCO often uses a combination of QT-PLUS and CW600 to produce the ultimate wear-resistant products. After this step the coal is then sent through a variety of belt conveyors, flop gates and down hoppers and chutes to be separated and mixed. After this step the coal is transferred to the oven where it will be formed until it is fed into hot cars that transport the hot coke to be quenched with water before being sent off to the steel mill. JADCO presents a lot of value to steel mills and foundries that use this process. Not only can QT-PLUS and CW600 be used in the bucket products, but we also have products that are used on the chutes and hoppers, products that can be used during the screening and crushing process, and we can even line the hot cars with QT-PLUS. We pride ourselves on being able to deliver virtually any wear material in any application the customer may ask for, and we are completely committed to giving you the tools necessary to complete your projects to your highest level of satisfaction. Whether you want our help with plant process applications or mobile equipment, we will work with you to find the best solution for your unique operation.